Between now and next summer, thousands of bored people stood around water coolers or sat in pubs will think of doing a challenge walk. Here are a few of the most gruelling, exhausting, rewarding and brilliant ones Britain has to offer. With summer behind us, the season for challenge walks is over. For the next six months or so, the thousands that have thronged the most popular mountains in Britain pursuing gruelling objectives for charity, chutzpah or simple kicks will be largely gone from the hills. But between now and next spring, the cycle will begin again. It will begin among bored people stood around water coolers in flourescent-lit offices. It will begin in the pub among groups of men after several pints. It will begin in the pricked consciences of people who decide to do something to support a cause or charity they believe in. All will come around to the idea of doing a challenge walk next summer. Many of them will settle on the famous Three Peaks Challenge, the task of trying to walk up the three highest mountains of Scotland, England and Wales in one 24 hour ordeal of motorway driving and zombie-eyed walking. Most people who complete the Three Peaks have a great time, act responsibly and often raise a decent sum of money for a good cause in the process. But not everyone views Britain's most famous mountain-based charity challenge in rosy terms. The numbers of people attempting it every year have a knock-on effect in terms of litter, erosion and disturbance to local residents. When it comes to the Three Peaks, one person’s fantastic experience can be another person’s headache when it comes to the clean-up. So we thought it would be as good a time as any to bring people's attention to the wealth of possibilities Britain has for challenge walks, including the ones that don’t involve 450-odd miles of driving. We’ve compiled a list: Britain's most gruelling, exhausting, rewarding, brilliant challenge walks. Some of them are feasible alternatives to the national Three Peaks Challenge; others will require considerably more fitness and mountain awareness. One or two are pie-in-the sky dreams for most people; but it's good to have something to aim for. So if you’re thinking of jumping on the Three Peaks bandwagon next year, or know someone who is, point them here for ideas and inspiration. Use your bonce, people – there is a world of mountains out there. Why do the same thing everyone else does? And you know, sometimes you can even walk up them for fun…. but that’s a whole other article. 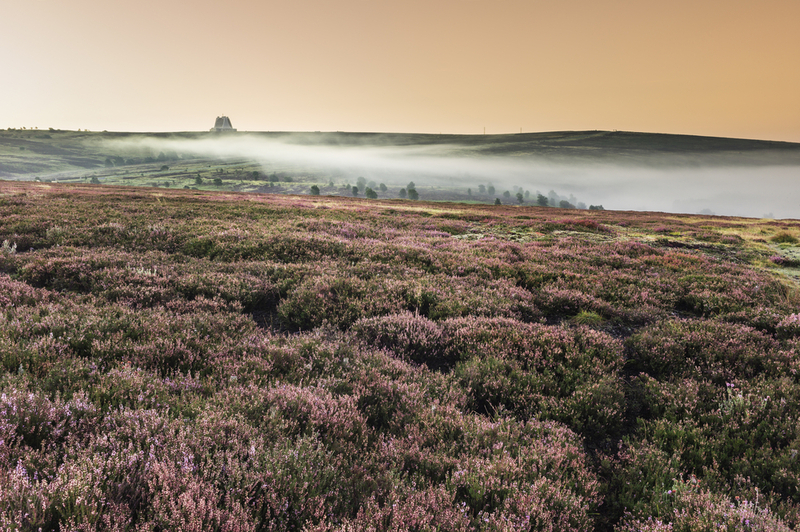 Before the dawn of the tri-national challenge we know now and love (ahem), when people spoke of the ‘Three Peaks’ it was understood to refer to this Yorkshire Dales-based challenge. First invented by the schoolmasters J.R. Wynne-Edwards and D.R. Smith in 1887, it involves bagging Pen-y-Ghent, Whernside and Ingleborough in one go. Why? Well, you’d probably have to ask them, as it’s not like they’re situated conveniently close to each other – Pen-y-ghent and Whernside are a soul-destroying 10 miles apart. But then again it’s not supposed to be easy, is it? Entrance into the Three Peaks Club (achieved by clocking in and out of the Pen-y-ghent Café in Horton-in-Ribblesdale in under 12 hours) is a rite of passage for any hill walker. 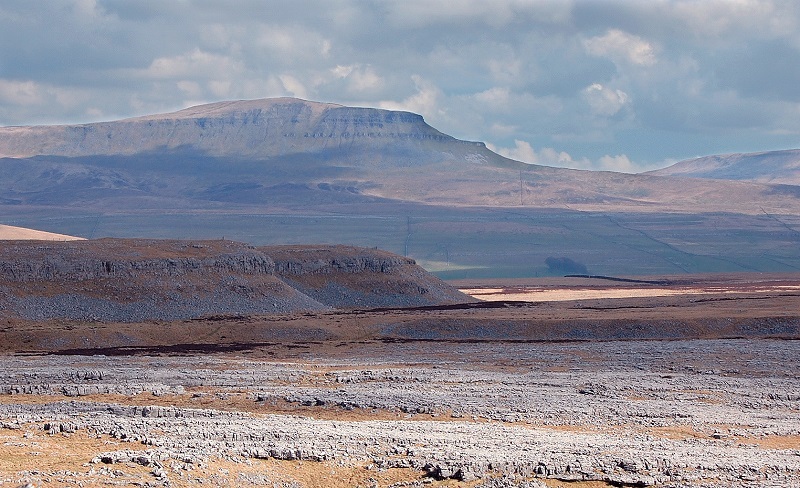 If you do decide to have a go, here's a statistic to ponder: maintaining the paths along the 42 kilometre route of the Yorkshire Three Peaks costs on average £28 per metre. Check out the Three Peaks Project - any donations, however small, will be gratefully received. Never mind three peaks; how about 15 or 16? The Welsh 3000s is the audacious challenge of tackling all the mountains in Snowdonia above 3,000 feet in under 24 hours. 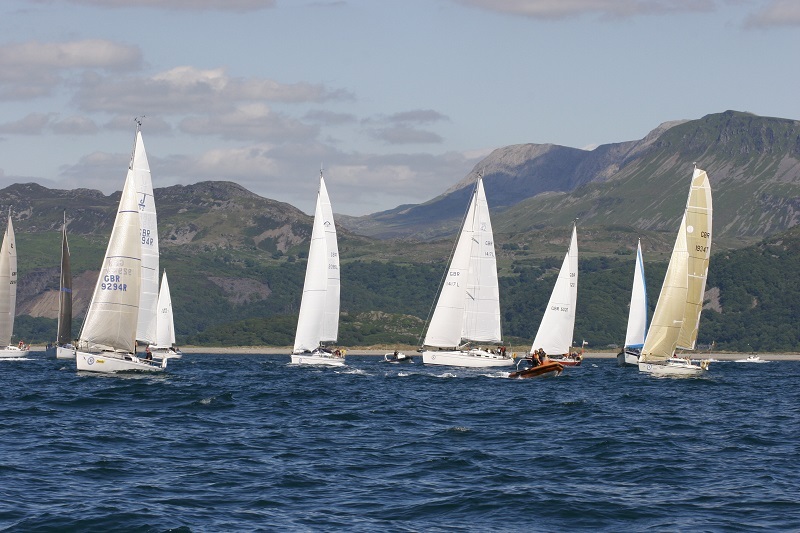 Participants usually begin with a bivvy on top of Snowdon before making their way across the mountainous spine of the region to the final peak of Foel-fras in the north, overlooking Conwy Bay, before descending feeling appropriately terrible. 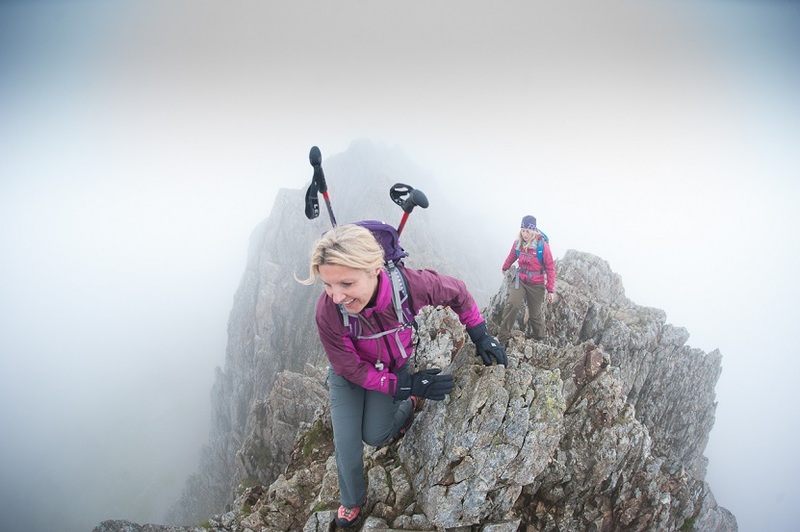 The inclusion of the knife-edge ridge of Crib Goch, scrambling on bristly Tryfan and plenty of steep and problematic terrain makes this one for experienced hill walkers only. The record, set by a runner, stands at an inhuman-sounding 4 hours and 19 minutes. So that’s something to work towards, at least. Want to climb three epic peaks but put off by all the driving involved in the national Three Peaks? The Lake District 3000s originated as a continuous walking challenge – a 44 mile epic thanks to the huge distances between Skiddaw, Scafell Pike, its neighbour Scafell, and Helvellyn – but for the less experienced it’s possible to arrange transport between the relevant mountains, making a superb localised alternative to the tri-national challenge. You can even bike between them if you wish, cutting out the need for motorised transport altogether. 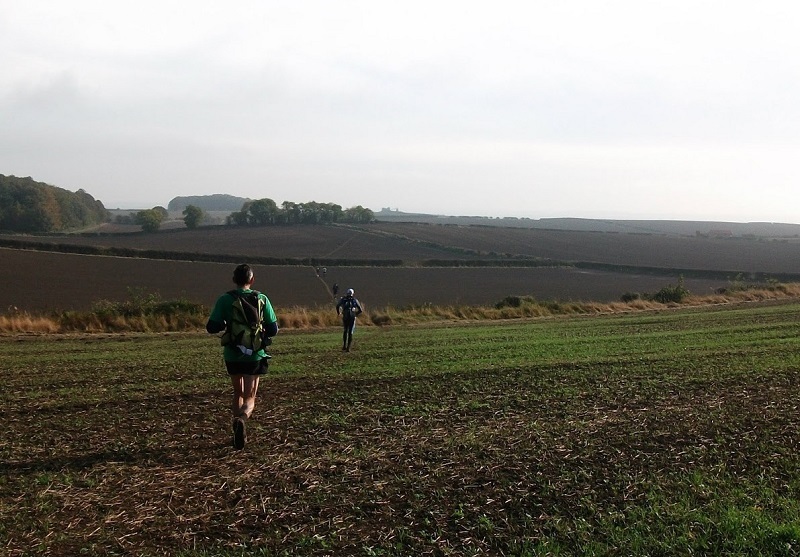 What is it with Yorkshire and gruelling long-distance challenges? The Lyke Wake Walk seems purposefully designed to prove the mantra that it’s grim up north, revelling in its difficulty by cheerfully theming the whole thing around the topic of death. A fourty mile crossing of the North York Moors from Osmotherley to Ravenscar following the line of the watershed across the widest point of the moors, it takes its name from the Lyke Wake Dirge, a traditional Yorkshire song describing the soul’s passage through purgatory, a very deliberate analogy for how you’ll feel crossing the seemingly endless seas of heather. Completing it earns you entry to the Lyke Wake Club; male finishers are called Dirgers, woman finishers are called Witches. We don’t know why either. The Rowbotham’s Round Rotherham is a running and walking event that does more or less exactly what it says on the tin. Devised by striking steel worker and secretary of the Rotherham Harriers Athletic Club Ralph Rowbotham in 1980, it takes you on a huge 50 mile orbit of the South Yorkshire town famous for the Chuckle Brothers and no less than two of the three Top Gear presenters. It may not have the mountainous glamour of some of the other challenges on this list, but it encompasses a huge swathe of the South Yorkshire Forest (more pleasant agricultural land than actual forest), and is certainly an epic in itself. The round is run as an organised event on October 19, although you can of course do it yourself if you’re so inclined. Just remember: no slacking! Mike Dobson-Hornett ran the Rowbotham Round Rotherham - you can read his account here. You can also take part as a walker. If all the driving involved in the ‘classic’ Three Peaks seems too environmentally unsound or just too much like cheating, and you can’t settle for doing three mountains that are a bit closer together, never fear. 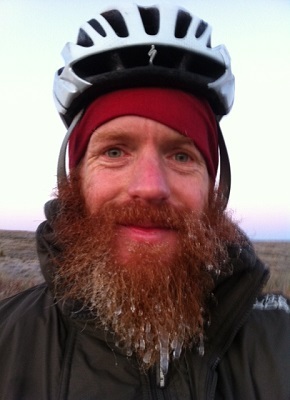 It is possible to do the challenge under good old-fashioned human steam with the aid of a bicycle. The record is a rather impressive 46 hours and 30 minutes, set in 2008 by John McAvoy, Graeme Widdup and Nicholas Hudson. 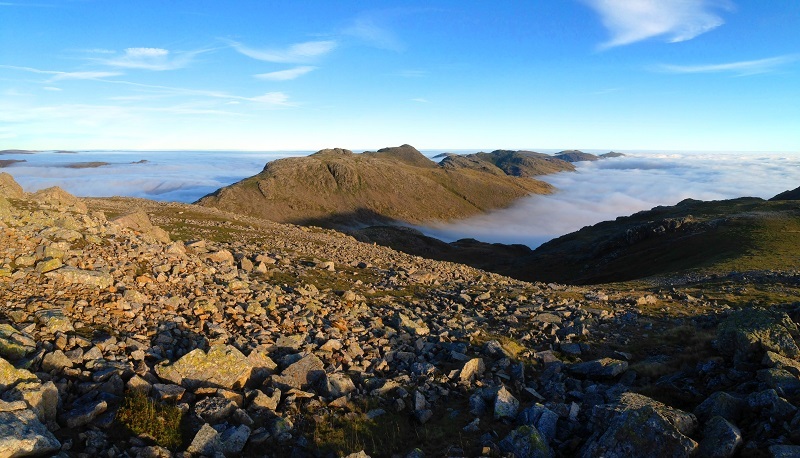 After a previous attempt of 60 hours, on their record-breaking round they aimed to do the whole thing without sleep, but in the end they did have a quick 25 minute nap after climbing Scafell Pike. Wimps. Their top tip? I quote: “DON'T DO IT”. Doing the Three Peaks by bike or boat still seem too easy for you? Well, why not try walking it? Granted, it would take weeks and months rather than hours, but what a thing to tell the grandkids about. As far as we can tell, no one has yet attempted a solo run of the Three Peaks – though some fell runners, like Stephen Pyke, almost certainly could – but it has been completed before by a group. 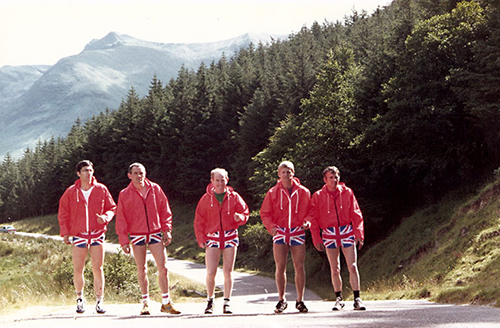 In August 1981, a five-person relay team, aided by about eight supporters, completed it in 54 hours and 39 minutes. Crudely dividing the distance between them, that’s still about 90 miles each. Not everyone will be able to complete all the challenges on this list – in fact, most of us won’t. But all of us are capable of thinking creatively about what could constitute our own challenge. 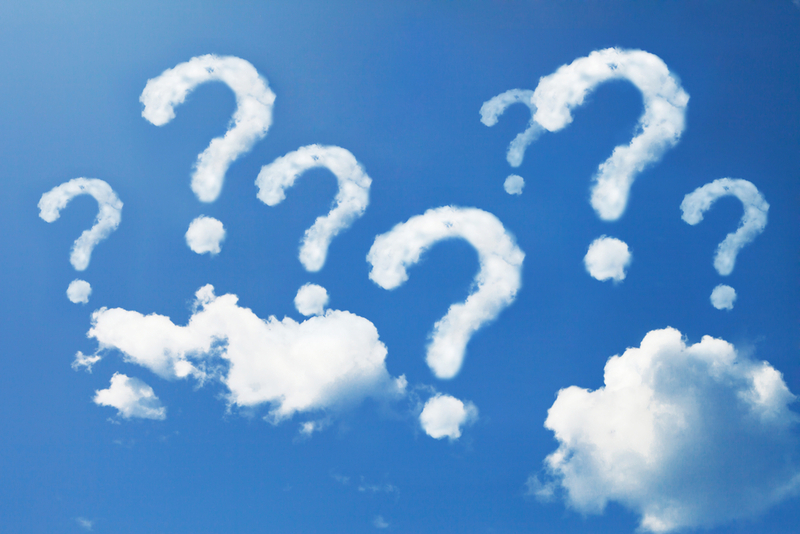 What makes a ‘challenge’ is subjective and there are limitless possibilities to put your own individual slant on them. Earlier this month, for example, Joe Beaumont set out from Holme Fen in Cambridgeshire with a large metal cage attached to his lower leg. He was aiming to go from the lowest point in the UK to the highest, the top of Ben Nevis, a journey representing his recovery from a catastrophic fall in the Lake District which left him in intensive care. Safety considerations meant he postponed the Ben Nevis part of the trip, but it just goes to show that a challenge is a malleable thing, open to the imagination, and can be equally if not more inspiring than the tried-and-tested ones if given a personal twist. So when next spring rolls around and the usual hordes of people descend on the Three Peaks again, challenge yourself to be different. When attempting any walk or challenge event in the mountains, please consider its impact on the environment and the potential for disturbance to local residents and other users. Ensure all participants have the the right equipment, knowledge and fitness for the mountain environment. Follow the Countryside Code and advice within the BMC's Green Guide to the Uplands. See also the code of practice for outdoor events, including the Three Peaks Challenge, published by the Institute for Charity Fundraising. What about Skye cullin ridge walk? I know you're the British MOUNTAINEERING Council but no mention of the SWCP? Really?! Not to metion the West Highland Way, Cape Wrath Trail, Pennine Way, etc? And yet you included a bike ride. Strange. All very fair points - perhaps there should have been a disclaimer saying this list wasn't intended to be exhaustive! In writing this article I was thinking of the sort of people who would consider doing the Three Peaks, and trying to think of alternatives that would grab people for the same sort of reasons. The Pennine Way, Coast to Coast, Cuillin Ridge etc are all 'challenges' in their own right, of course, but they are a different sort of thing; you wouldn't contemplate doing the Cuillin as an alternative to the Three Peaks, nor could you do the Pennine Way in a weekend. I tried to explain this a bit in the intro and the final 'walk' but perhaps it should have been clearer. The Yorkshire 3 peaks is good and very doable, Welsh 3's harder but logically links 3 classic hill days, both good alternatives to the 3 peaks car race. The lakeland 3's doesn't seem right they just don't fit. There ought to be a good Scottish walk in there though the ring of Steale in the Mamores or the Kintale ridge? The Yorkshire Three Peaks is No1? The most epic challenge walk in Britain? What?!?! The Cuillin - Please see my comment above. The Cuillin traverse is a mountaineering challenge way above the skillset of most average walkers, so isn't included in this list for that reason. Yorkshire Three Peaks - The list isn't intended to be a hierarchy, or definitive. and the 'A' Long category fell races organised by the Fell Running Association http://www.fellrunner.org.uk/ are also challenging! wot no Tour de Trigs? No mention of the Welsh costal path combined with the Offa's Dyke path at just over 1050miles, I plan on starting it at the end of April anything under 10 weeks will do me. Commenting on Post 15: Not 33hrs as recorded by other ‘Authorities’ where 35h 40m is suggested as Dave’s Sea level-Sea Level time on 6-8 Jun 1997. Note, his was a ‘paced’ record with accompanying cyclists (how many?). My own record for an unpaced cycle is 41h 51m (as far as I know) on 1-23 July 1980 and was accepted by Guinness Book of Records.